DISCLAIMER: I understand that there are certainly situations in which it is not appropriate or desirable to receive a gift or compliment from someone. This article is focusing on genuine gifts, given with love and respect, NOT gifts given with the intention of manipulation or boosting ego. Most of us think of ourselves as “Givers” not “Takers”. 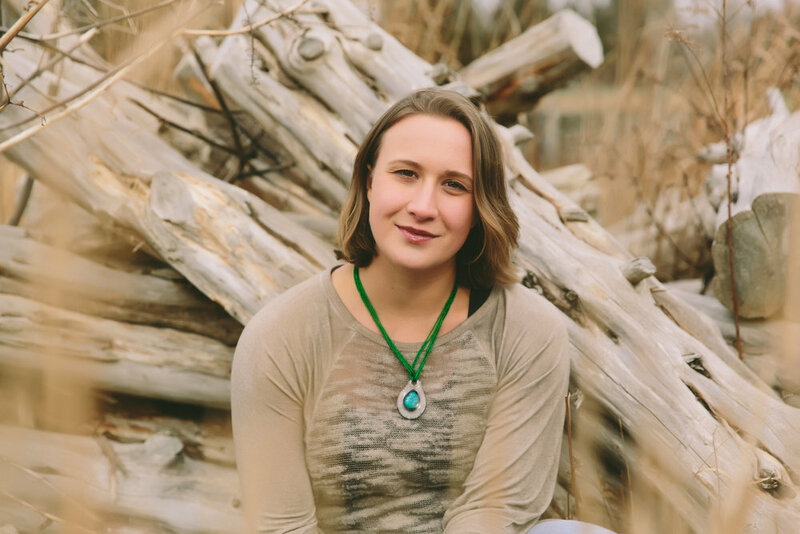 We give, give, give and that’s really great, but when it comes to finding a balance and gracefully receiving a gift in turn…. We have some serious room for improvement. Just think for a moment about how awesome it feels to give a gift to a little kid on their birthday. They tear open the wrapping paper with such eagerness and ferocity because they are so excited and then their face lights up when they finally open your gift. Then your face and heart light up partially because you are glad they liked it, but on a deeper level you resonate and appreciate the fact that this little kid KNOWS they deserve that gift. When you give to a child, you don’t often hear the “Oh…you shouldn’t have” Or “I can’t possibly accept such a gift” or “You didn’t have to do this for me”. On the one hand, I understand that these responses are just social protocol, but I also understand that this protocol is based on the idea that it is wrong to receive or and it is wrong for us to believe that we deserve to receive. How do you react when someone unexpectedly gives you a really nice gift, or pays you a genuine compliment? Do you typically accept with grace and gratitude or do you lower your eyes and mumble some excuse about how you don’t really deserve credit? Now think about how it feels to pay someone a compliment and have them shrug it off or minimize it in some way and how that compares to the feeling of complimenting someone and having them receive the compliment with gratitude and excitement. 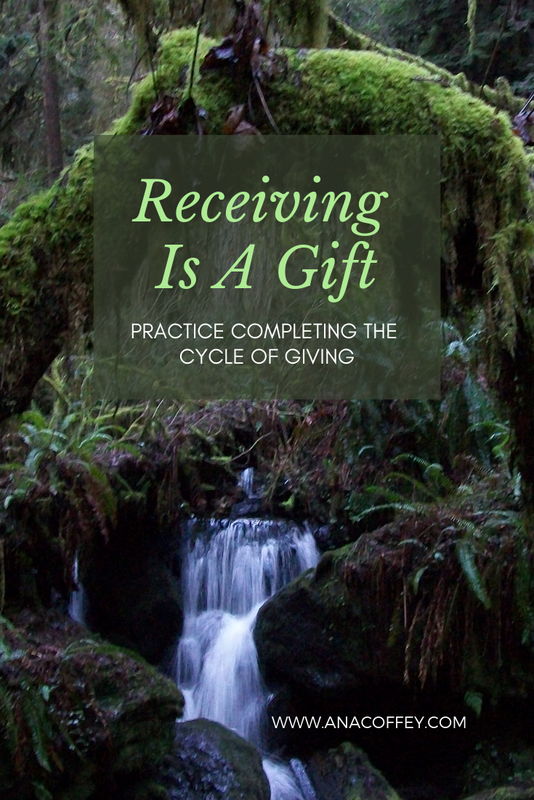 Giving and Receiving is a CYCLE of energy exchange. When the cycle completes, everyone walks away contented. When the cycle is broken pre-maturely, both parties walk away with a sense of lack and wanting (whether consciously or subconsciously). When we receive a compliment with grace and a genuine (even excited) “Thank You Very Much!”, we allow the person giving the compliment to receive all the pleasure, contentment and fulfillment that comes with being kind. The “Receiver”, in this situation, essentially gives a gift of that fulfillment to the “Giver” by accepting the proffered gift with grace and the cycle completes with both parties giving and receiving in turn. If the “Receiver” declines a genuine gift, given with love, the cycle is broken and the “Giver” leaves the exchange unfulfilled and the “Receiver” leaves the exchange reminded of their own lack of self-worth. So, the next time someone pays you a genuine compliment, you don’t have to do anything elaborate, just practice looking them in the eye and saying, “Thank You”. Instead of feeling guilty for receiving the compliment, know that you just gave that person a gift in return! Here is the FB live video that I recorded on this topic if you would like to check it out!